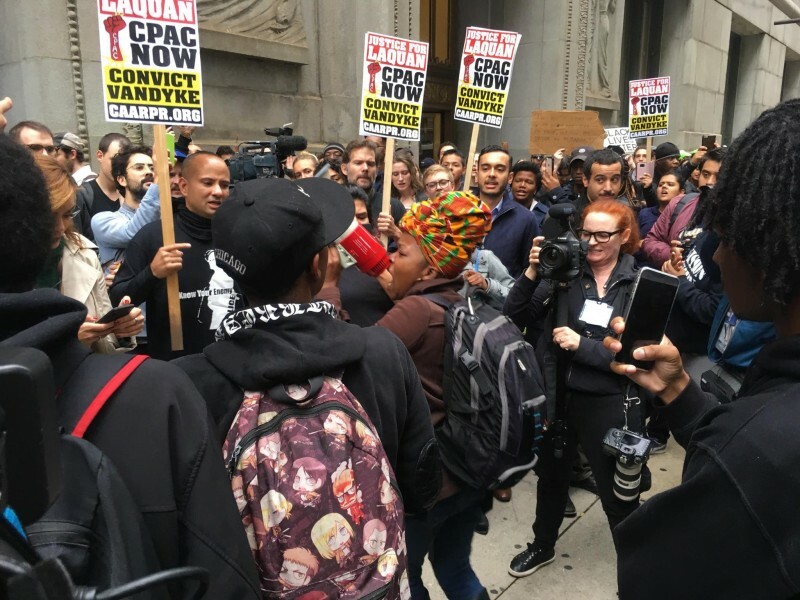 Hundreds gather after guilty verdict in Van Dyke trial | Fight Back! 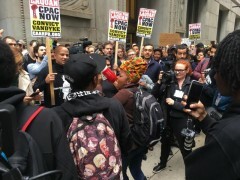 Chicago, IL – Erica Nanton calls for a Civilian Police Accountability Council (CPAC), to establish community control over the police, as hundreds of people gather at City Hall here, Oct. 5 in the wake of the Van Dyke verdict. Jason Van Dyke, a white cop who shot Laquan McDonald, an African American youth, 16 times in October 2014, was found guilty of second-degree murder.